Starke should play in the cup matches. MaCk0y wrote: Starke should play in the cup matches. That's why we bought him. Not just for sitting on bench but also for Pokal matches and in situations where is in CL secured passage to the next rounds. I don't think we were risking anything by letting him play yesterday. Even though it was still pre-season, a win yesterday would have had big consequences. I fully expect Starke to be playing Pokal games this season. lau03143 wrote: I fully expect Starke to be playing Pokal games this season. He will, I've got a good feeling. Now about injury, some people think he consciously wants to avoid this international match, so Manu justifies himself with this 'injury'. It's a real injury, but I think nothing serious, just small pain and nothing else. Bundesliga start won't be missed. The second half started with a shock for the majority in the crowd but a welcome if surprise debut for Raeder after Neuer was forced to remain in the dressing room with a tight calf. I've just read that usually in order to heal a calf; rest is needed... also the application of ice & heath. So IMO DFB Pokal SF is a no go for Neuer. Although on occasions some calf inj may need 7 - 10 days rest. By the way this injury sounds isn't something to be worried about till the semi final game but it's tricky,needs rest. 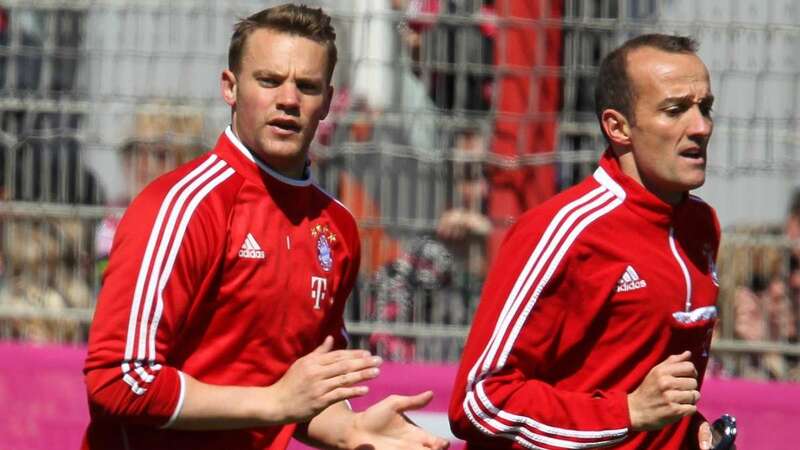 From what's been said today it sounds like Neuer is fine, will be able to play against Kaiserslautern on Wednesday and that it was mainly a precaution and not wanting to risk him yesterday. I just read that Bild said wrote that not only is he doubtful for tonight (which we know), but he is certain to miss tonight and is also doubtful for the next game. Please tell me it was mistranslated. FCBayernMunchen wrote: I just read that Bild said wrote that not only is he doubtful for tonight (which we know), but he is certain to miss tonight and is also doubtful for the next game. I cannot find it on Bild. I do not mind if he is out for tonight, but if he is also doubtful for Saturday it means he might not return in time for the Madrid game.